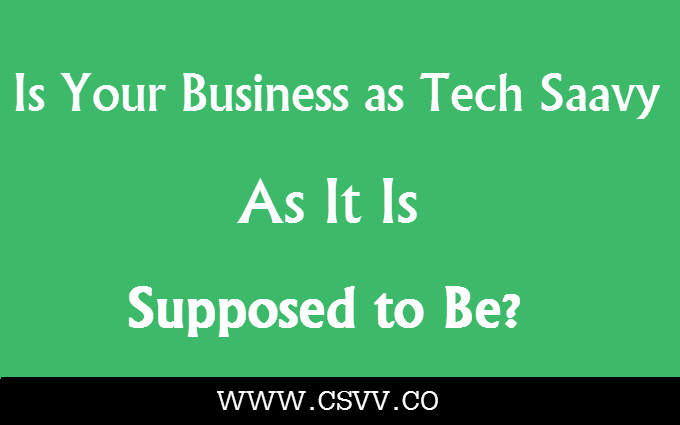 Is Your Business as Tech Savvy as it is Supposed to Be? important parts of the business world as well. Hardly will you find a business that does not heavily rely on technology anymore. So if you want to remain competitive in the market, you should always try to stay on top of the trends when it comes to technology. Here are a couple of ways every business should now use technology. No matter what your line of business is, you can certainly benefit from having a website. This is one of the best ways to bring your business closer to the consumers. The good thing about it is that no matter how much of a budget you have, you can still manage to make one. There are many companies that can help you with website design for small prices. Just make sure your website looks good and is user-friendly. You can also set up an online store so your customers can do all of their shopping online. Do not forget to put up all the necessary information such as address and phone number on your website. The technology keeps developing and there is always something new we can use. Recently, most of the businesses started using Cloud Service for storing their data. So instead of storing data on PCs at the office, all of the company’s data is kept online and can be accessed by all employees whenever and from wherever they want. This makes data transferring and communication within the team much easier. Another good thing about it is that even if something happens with your office, all of your data is safe and sound online. No business can survive today without the proper use of marketing. And is there a better place to promote your business than social media? More than 74% of all the internet users have at least one social media account and use it actively. Starting a Facebook page for your business could not be easier and is a great way to communicate with your customers. Share interesting articles with your followers and do not overload them with posts that promote your business. Only one of your seven posts should be promotional. Also, for less than 15 AUD Facebook will put your page in front of 7000 users per day. No modern office can function without at least a couple of PCs. There should be a desktop or a laptop for each of your employees. They can use these for brand promotion, communication with business partners or improving their skills. Tablets are also a great way for all the employees to stay in touch and run a project. There are many apps that will make the whole team function much better. As a business owner, it is up to you to get PCs and tablets for your employees. You should also make sure that these are serviced regularly and that any broken parts are replaced. You can find all the Lenovo parts you need online. Another great way you can use technology at your business is to try to understand your customers. That is why many businesses use Google Analytics. This service is free and it gives you all the necessary information about the visitors of your website. You can learn where your visitors come from, which sites drove them to your official website and which pages they look at the most. Once you know all of this it will be much easier to adjust your business to the consumers and start being more efficient. The technology is constantly developing and there will always be new ways we can use it in business. Make sure you stay informed and adjust your business according to the new technology trends.